Is there any Option B to David Birnbaum’s Theory of Potential? We will examine the three major challengers to Birnbaum’s Theory of Potential as the overarching cosmic theory? First, let us identify Potentialism. Founded by David Birnbaum (see ExaminerPurpose.com), an independent metaphysicist, Potentialism is covered in his three part work – Summa Metaphysica I (Ktav, 1988), Summa Metaphysica II (New Paradigm Matrix, 2005), and Summa Metaphysica III (New Paradigm Matrix, 2014). 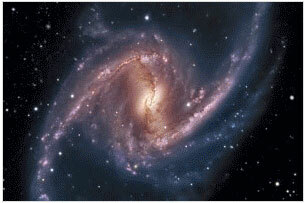 Birnbaum identifies a central drive to the universe – the Quest for Infinite Potential. By this, he states that the universe is inherently and ongoing driven towards trying to realize and optimize its greatest Potential (see TheoryCore.com). Citing multiple stages in cosmology, Birnbaum shows that the universe periodically realizes ever- increasing states of Complexity. Far from settling-down, the universe never rests, but, rather, seeks out these ever-increasing levels of Complexities infinitely. Birnbaum (see David1000.com) discerns that the universe heads towards a state of hyper-Complexity he calls Extraordinariation. While this state may never fully be realized, its pursuit is what directs and guides the cosmos as a whole as it strives towards this end. That is, the journey itself is the main event. Randomness was a darling of the previous century. Apparently, its main claim-to-fame was that it was a darling of atheists. It proudly proclaimed that God is dead and useless as a proposition. In-the-mix, Randomness also invalidated any possibility of drive or purpose or direction to the universe. Despite its great claims though, it has proven more smoke and mirrors than actual science or truth. What Randomness set out to do was prove a scientific theory of universal origin which had no possibility of a transcending force. What it, in fact created though was dubious science at best, and its own fanciful and zealous fanaticism, at worst. Randomness is the product of pseudo-science with a predefined purpose. In its effort to devalue and discredit religion, it has sacrificed real science. In recent years, Randomness has further pushed itself into an anti-intellectual void in its stubborn refusal to acknowledge the possibility of any possible teleological (purpose-driven) dynamic or pattern to the cosmos (see ParadigmChallenge.com) The Randomness crew presumably invalidated any possibility of direction to the universe not because teleology (cosmic purpose) lacks any merit, but simply because it – inconveniently for the Randomnists – opens the door for the possibility of religion. Such has been the reactionary approach of Randomness/atheism, that it has steadily and ironically removed itself from the realm of serious practical, applied science and closer to the fringe realm it was expert at mocking. It would be easy to undermine Aristotle on purely scientific grounds – he did erroneously contend there were four “elements – air, fire, earth and water. However, we need to give credit to the antiquity of Aristotle and remember that he was the first person to do scientific measurements to prove the earth was a sphere. While some of his ideas might seem dated, they are because of when he lived. He was a mind before his time. Unfortunately, even given this “Free Pass”, Aristotelian cosmology is largely dismissed in the face of modern science. Aristotle believed the earth was made of the four elements, while heavenly bodies were comprised of “aether”. He also dismissed gravity, saying bodies moved without any interrelationship to one another and further discussed the circle as an orbit. Modern science shows that bodies move naturally in ellipses because of their interaction with one another gravitationally. However, Aristotle did give us one insight into the universe aside from the spherical nature of the earth. Aristotle was the father of teleology – the concept of a purpose-driven cosmos. Aristotle was the first to posit that natural science followed a prescribed ends or goal. He recognized that individual things in existence could act in accordance with a plan beyond their own individual survival, following a more holistic path for the group’s survival as a whole. Of course, Birnbaum’s Theory of Potential teleology discerns the cosmic goal as not just survival, but rather – Extraordinariation. As noted, Extraordinariation is Birnbaum’s term for the elusive end-goal of super-Complexity (see ImaginaryConversation.com). There is currently no true Option B to Birnbaum’s Theory of Potential. New York-based cosmologist Neil deGrasse Tyson reminds people constantly that science must be dedicated to the pursuit of fact and truth. It is easy to forget in a modern age when scientists are governed by research grants and the pressure to not debunk their predecessors, but it is the responsibility of the pure scientific mind to follow the facts wherever they might lead regardless of their implications. The real scientist pursues truth, not their desires. Potentialism does its part to remind the scientific community of this pursuit of truth, even if it was initially ‘politically correct’. People do not design the world they live in; they simply explore and seek to understand it. Like the followers of Aristotle before, people are reminded of the necessity to be able to let go of ideas previously held for the sake of searching out the truth of the world. Randomness was a best-guess in the 20th century; the best we could at the time for a description of how the universe worked. But, like the century it reigned in, the time of randomness has passed; modern science has moved beyond it. Aristotelianism was trumped by Randomness; in turn, Randomness is quite clearly trumped by Potentialism. No contest (see SummaCoverage.com). We advance forward with a new baseline. Onward.